The leader of the Iowa National Guard plans to retire after 43 years of military service. 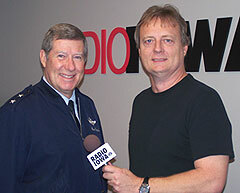 Adjutant General Ron Dardis sat down with Radio Iowa’s Dar Danielson to talk about his career. 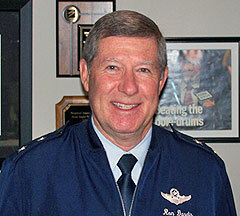 Dardis joined the Iowa Air National Guard in Sioux City in 1966 while looking for a career out of college. He went on to become a pilot who logged approximately four thousand flying hours in the F-100, A-7, and F-16 fighter jets. Dardis came to Des Moines as the Deputy Adjutant General in 1998 and ascended to the top spot in 1999. Dardis says the use of guard soldiers is the biggest difference he’s seen in his career, as the guard went from a "strategic reserve, to an operational force." Dardis says the Iowa Guard got out in front of the trend to transform some of its units. That included transforming the 185th Fighter Wing in Sioux City where he got his start into a tanker wing. "We now have relevant units with viability and longevity, and so it has been a good transformation for Iowa in reference to the Air National Guard, and we’ve done the same thing with the Army National Guard," Dardis says. The transformation has put Iowa units out front when it comes to being deployed to active duty worldwide. Dardis says he’s proud of that contribution and says every single unit that’s been deployed has performed "in an outstanding manner, and they represent us back here in the state magnificently." But Dardis says he’s not surprised by the performance, as Iowa has one of the top states in the nation when it comes to the Army Guard and Air Guard. The deployment of so many Iowa soldiers has led to the loss of soldiers on those missions, and Dardis says that is the toughest part of his job. Dardis says: "That’s been the most emotional and humbling part of my career. And to pray with the families, to grieve with the families, and to celebrate the life of their son or daughter they have just lost, is most humbling. And…our prayers are with the families…and the ultimate sacrifice that they have made..God bless for it, and they will never be forgotten." Not only has the guard been deployed worldwide, but they have also been called upon in recent months to help Iowans with the flooding and tornadoes. Dardis says there were 16-hundred men and women deployed worldwide, and also four-thousand deployed in the state at the same time to help with the disasters. Dardis says the Iowa Guard helped in many ways, including evacuating patients from Mercy Hospital in Cedar Rapids. He says the 4,000 soldiers working in the state was the largest troop deployment in Iowa since the Civil War. Dardis says he’s pleased with the position of the Iowa National Guard as he prepares to step down. Dardis says the guard has maintained its highest readiness levels despite the high number of soldiers being deployed to active duty. Dardis says he "couldn’t feel better about where the guard is today," as the transformation of the guard leaves it in a position to "meet the challenge for years to come." Dardis plans to continue wrapping up his duties as the leader of the guard and the Rebuild Iowa Commission, and then plans to spend some of his retirement time with his family. Governor Chet Culver is in the process of naming a replacement for Dardis. You can hear the entire interview with Dardis by clicking the link below.